The Russian 3M54_1 Kalibr (Калибр, caliber), 3М51, Alfa, P-900 (Альфа, alfa) (nowadays 3M54), 3M14 Biryuza (Бирюза, turqoise), (NATO codenames SS-N-27 Sizzler and SS-N-30A), 91R1, 91RT2 is Russian group of surface ship-, submarine-launched and airborne anti-ship and coastal anti ship (AShM), land attack cruise missiles (LACM) and anti-submarine missiles developed by the Novator Design Bureau (OKB-8). Derived export versions are the 3M54E, 3M54E1, 3M14E, 91RE1, 91RTE2. The 3M54T, 3M54K, 3M54A, 3M54E (3M54TE), 3M54KE and 3M54AE have a second stage that performs a supersonic sprint in the terminal approach to the target, reducing the time that target's defense systems have to react. The 3M54T1, 3M54K1, 3M54A1, 3M54E1 (3M54T/K/AE1) only travels at subsonic speeds, although its range is accordingly greater than those of the supersonic versions. Club is the designation used for the export versions. The missile is a modular system with five versions: two anti-shipping types, one for land attack and two anti-submarine types. The missile is designed to share common parts between the surface and submarine-launched variants but each missile consists of different components, for example, the booster. The missile can be launched from a surface ship using a Vertical Launch System (VLS). It has a booster with thrust vectoring capability. The missile launched from a submarine torpedo tube has no need for such an addition but has a conventional booster instead. The air launched version is held in a container that is dropped as the missile launches, detaching from the container. Kalibr land attack versions in use by Russia have various claimed maximum ranges. The U.S. Department of Defense estimates its range at 1,400 km (870 mi), and Russian Defence Minister Sergei Shoigu put its range at "almost 1,500 km (930 mi)." Following its first operational firing in October 2015, Russian Ministry of Defence statements suggested a range of 2,000 km (1,200 mi), while a December 2015 Office of Naval Intelligence report gathered a number of Russian statements projecting ranges between 1,500-2,500 km (1,600 mi). Discrepancies in range values may be attributed to political declarations for strategic effect, or potentially longer 2,500 km-range claims could be associated with a thermonuclear armed variant while shorter 1,500 km-range estimates are for the conventionally armed missile. The Russian domestic variant (3M54T / 3M54K) and export variants (3M54TE/3M54KE) fly at sub-sonic speeds while achieving supersonic speed as they near their target. They are also capable of performing very high angled defensive high speed maneuvers in contrast to the common linear flight path of other anti-ship cruise missiles. On 7 October 2015, a Gepard class frigate and three Buyan-M class Russian Navy corvettes, part of the Caspian Flotilla launched 26 Kalibr-NK system cruise missiles 3M14T from the Caspian Sea at 11 targets in Syria during the Syrian Civil War. The missiles traveled 1,500 km (932 mi) through Iranian and Iraqi airspace and struck targets in Raqqa and Aleppo provinces (controlled by the Islamic State) but primarily in Idlib province (controlled by the Free Syrian Army and Nusra Front). Anonymous US DoD officials alleged that four missiles crashed in Iran. The US officials offered no evidence while Russian and Iranian governments denied the claim of missile crash. Pentagon and State Department officials refused to comment on the reports. Russia posted video footage of 26 Kalibr missile launches as well as several videos of missile impacts without time or location information. Some sources claim that the Russian navy launched 26 missiles as an ironic message to the US navy, because the aircraft carrier USS Theodore Roosevelt (CVN 75) was sailing in the north area of the Persian Gulf, inside the range of the missile (as Theodore Roosevelt was the 26th President of the United States). On 20 November 2015 Russia launched 18 3M14T cruise missiles from the Caspian Sea onto targets in Syria, the targets were in Raqqa, Idlib and Aleppo. On 9 December 2015 Russia fired a group of 3M14K cruise missiles from Kalibr-PL system at IS positions from the Improved Kilo-class submarine B-237 Rostov-on-Don deployed in the Mediterranean. On 19 August 2016 Russia launched three Kalibr-NK cruise missiles from Buyan-class corvette Zelenyy Dol and Serpukhov deployed in the eastern Mediterranean, and struck al-Nusra targets in the Aleppo province. On 20 September 2016 Russian state media reported that Russian warships in the Mediterranean fired three Kalibr-NK missiles at western Aleppo, near Mount Simeon. The Russians claimed that the missile strike killed “30 Israeli and Western officers directing the terrorists’ attacks in Aleppo and Idlib". On 15 November 2016 Russian frigate Admiral Grigorovich fired at least three missiles against targets in Idlib and Homs provinces, Syria. On 31 May 2017 the Russian frigate Admiral Essen and submarine Krasnodar launched four missiles against targets east of Palmyra, Syria. On 23 June 2017 Russian frigates Admiral Grigorovich and Admiral Essen, and the submarine Krasnodar fired six Kalibr missiles at ISIL arms depot targets in Hama. On 5 September 2017 the Russian frigate Admiral Essen fired some Kalibr missiles on ISIL targets made by command posts, a communications center, a facility repairing armored vehicles, arms and ammunition depots as part of an operation to take Deir ez-Zor. On 14 September 2017 the Russian submarines Veliky Novgorod and Kolpino fired seven Kalibr missiles on ISIL targets made by command posts, communications centers, ammunition depots in the south-east of Deir ez-Zor. On 22 September 2017 the Russian submarine Veliky Novgorod fired at least three Kalibr missiles on al-Nusra in the Idlib province. The missile strike destroyed command centers, training bases and armored vehicles. On 5 October 2017 the Russian submarines Veliky Novgorod and Kolpino launched 10 Kalibr missiles. The strikes were to support Syrian troops conducting a ground offensive in Deir-ez-Zor province. On 31 October 2017 the Russian submarine Veliky Novgorod launched 3 Kalibr missiles. The strikes were again to support Syrian troops conducting a ground offensive in Deir-ez-Zor province. On 3 November 2017 the Russian submarine Kolpino launched 6 Kalibr missiles from a submerged position. Missiles hit terrorists’ strongholds, weapon and ammunition depots, concentrations of militants, and important command centres near Abu Kamal, Deir-ez-Zor. On 3 February 2018 Russian frigates and submarines active in the Mediterranean sea launched several Kalibr missiles on the positions of rebels in the Idlib province, Syria where the Sukhoi Su-25 attack aircraft of Major Roman Filippov was shot down, killing about 30. 3M54K A submarine-launched anti-shipping variant deployed by the Russian Navy. Its length is 8.22 m (27.0 ft), with a 200 kg (440 lb) warhead. Its range is 440–660 km (270–410 mi). It is a Sea-skimmer with a final stage flight altitude of 4.6 metres (15 ft) and a supersonic terminal speed of Mach 2.9 (3,550 km/h; 2,210 mph). 3M54T An anti-shipping variant deployed by the Russian Navy on surface ships. It is launched with a VLS, has a Thrust vectoring booster, and is 8.9 m (29 ft) long. Its warhead weight and other performances are the same as the 3M-54K. 3M14K (SS-N-30A) An inertial guidance land attack variant deployed by the Russian Navy. The submarine-launched weapon has a basic length of 6.2 m (20 ft), with a 450 kg (990 lb) warhead. Its range is 2,500 km (1,600 mi), allowing the Russian Navy to strike targets throughout central Western Europe (including all of the UK, northern France including Paris, and most of Germany) from beyond the GIUK gap. Its subsonic terminal speed is Mach 0.8. 3M14T is the inertial guidance land attack variant which is deployed by the Russian Navy. A surface ship with VLS launched missile, with thrust vectoring booster, its basic length is 8.9 m (29 ft), its warhead weight and other performance are the same as the 3M14K. Russia fired 26 3M14T cruise missiles from four surface ships in the Caspian Sea against 11 targets in Syria on 7 October 2015. According to state television news (broadcast of 11.10.2015), launch of production took place in 2012. Details of this version - the maximum speed of Mach 3, the range of 4,000 km, basing in the air, on land, on water and under water (shows launch from water depth). The missile can make in-flight maneuvers 147 times or more (in any direction), the minimum height of 10 meters, an average of 20 – 50 meters (up to 1000), it will automatically follow terrain, the missile can be controlled in flight. 3M-54E Club-S is the submarine launched anti-shipping variant, Its basic length is 8.2 m (27 ft), with a 200 kg (440 lb) warhead. Its range is 220 km; (note that its range is less than the 3M-54). It is a sea-skimmer with a supersonic terminal speed and a flight altitude of 4.6 metres (15 ft) at its final stage is 2.9 mach. 3M-54E1 is a submarine-launched anti-shipping variant, Its basic length is 6.2 m (20 ft), with a 200 kg (440 lb) warhead. Its range is 300 km (190 mi). It is a sea-skimmer with a subsonic terminal speed of 0.8 mach. It is allegedly capable of disabling or even sinking an aircraft carrier. 3M-14E An inertially guided land attack variant; it is launched from a submarine. Its basic length is 6.2 m (20 ft), with a 450 kg (990 lb) warhead. Its range is 300 km (190 mi). It has a subsonic terminal speed of 0.8 mach. 91RE1 A submarine-launched anti-submarine variant, it consists of two stages, one solid booster with four grid fins and one anti-submarine light torpedo. Its basic length is 7.65 m (25.1 ft), it has a range of 50 km (31 mi). It can reach supersonic speed. The torpedo has a warhead weight of 76 kg (168 lb). It is similar to the American ASROC/SUBROC missile/torpedo system. It follows a ballistic path on the surface, with a speed of Mach 2.5. 3M-54TE Club-N - A surface vessel with VLS launched anti-shipping variant; with a thrust vectoring booster. Its basic length is 8.9 m, its warhead weight and other performance is the same as the 3M-54E. Its range is less than the 3M-54. It is a sea-skimmer with supersonic terminal speed and a flight altitude of 15 feet (4.6 m) at its final stage, when it has a speed of 2.9 mach, with a range of 220 km (140 mi) at supersonic speed. 3M-54TE1 - A surface ship with VLS anti-shipping variant, with thrust vectoring booster. Its basic length is 8.9 m (29 ft), its warhead weight and other performance is the same as the 3M-54E1. A sea-skimmer with a subsonic terminal speed of 0.8 mach. It is also allegedly capable of disabling or even sinking an aircraft carrier, with a range of 300 km (190 mi) at supersonic speed. 3M-14TE - An inertially guided land attack variant. It is a surface ship with VLS missile and a thrust vectoring booster. Its basic length is 8.9 m (29 ft), its warhead weight and other performances are the same as the 3M-14E. Its subsonic terminal speed is 0.8 mach, with a range of 300 km (190 mi) at supersonic speed. 91RTE2 - A surface ship with the VLS launched anti-submarine variant; it consists of three stages, one booster with thrust vector nozzle, one conventional booster, and one anti-submarine light torpedo. Its basic length is 8.9 m (29 ft), with a range of 40 km (25 mi) at supersonic speed. The torpedo has a warhead weight of 76 kg (168 lb). The lightest of all variants, with a launch weight of 1,300 kg (2,900 lb). Speed is Mach 2. Land-based anti-ship missile for coastal defense. Range 300 km, includes supersonic terminal sprint phase. 3M-54AE - Air-launched anti-ship variant. Two stages, terminal supersonic speed. Weight 1950 kg. Warhead 200 kg. Range 300 km. 3M-54AE1 - Air-launched anti-ship variant. Subsonic. 3M-14AE - Air-launched land attack variant. Subsonic. INS+satellite guidance. Length 6.2 m. Weight 1400 kg. Warhead 450 kg. Range 300 km. Indian Navy frigate INS Tabar firing the Club missile. 'Club-K' - the Russian container complex of missile weapons, placed in the standard 20- and 40-foot sea container. Designed to defeat surface and ground targets. The complex can be mounted on shorelines, vessels of various classes, rail and Truck. It is a modification of the missile system Kalibr. The Russian Kilo class, Lada class, Akula class, Yasen class, Borei class are the submarine launch platforms for the missiles. The Russian Admiral Gorshkov class, Admiral Grigorovich class, Gepard class frigates are able to carry these missiles. Also the Indian Talwar class frigate is another shipborne launch platform for the Club missile system. The Russian Gremyashchy class, Buyan-M class, the second batch of Steregushchy class corvettes and the Karakurt class are low displacement platforms with Kalibr system ability. In addition, it is believed by some analysts that an air-launched variant will be developed to arm the Tu-142s currently in service with both the Russian and Indian Navies; it is also anticipated that the Tu-22M3 operated by the Indian Navy will be equipped with the missile. A truck mounted version is planned for development by the Novator Design Bureau. 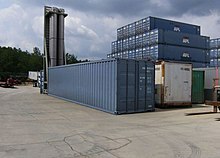 A Club-K variant, which is disguised as a shipping container that can be placed on a truck, train, or merchant vessel, was advertised in 2010 and was shown for the first time at the MAKS 2011 air show. Putting the launcher system into a standard shipping container allows the missiles to be moved and stored without arousing suspicion, which in turn renders pre-emptive strikes against the launcher very difficult. In MAKS 2007, the 3M-54AE was placed beside a Su-35. This means the plane will have the ability to launch the Club-A variants. The lighter 3M-14AE was also beside MiG-35. Russian Navy uses the 3M14, 3M54, 3M54_1, 91R1, 91RT2. Submarine launched variants (entered service in 2016) are used by Kilo-class submarine, Lada-class submarine, Akula-class submarine, Oscar II-class submarine K-150, and the Yasen-class submarine. Surface ship launched variants are used by the Gremyashchy class, Karakurt class, Buyan-M class corvettes, Gepard class, Admiral Gorshkov class and the Admiral Grigorovich class frigates. Algeria: The Algerian National Navy uses the 'Club-S' variant for their Kilo class submarines. India: The Indian Navy uses both 'Club-S' and 'Club-N' variants for the Kilo class submarines (known as the Sindhughosh Class in Indian service), the Talwar class frigates respectively. Vietnam: The Vietnam People's navy uses the 'Club-S' variant for its six Kilo class submarines. China: The People's Liberation Army Navy uses the 'Club-S' variant for its Kilo class submarines. Iran: Contradictory sources indicate that the Iranian Navy is thought to have purchased or is about to purchase 'Club-S' missiles for its three Kilo class submarines. ^ a b c Game changer: Russian sub-launched cruise missiles bring strategic effect. Jane's Information Group. ^ "صواريخ روسية غيرت مفهوم المعركة وأخافت العالم" [Russian missiles changed the concept of the battle frightened the world]. YouTube (in Arabic). ^ "ЦАМТО / Новости / Сводка боевых действий ВКС России в Сирии за 8 декабря". armstrade.org. Retrieved Feb 18, 2019. ^ "Kalibr-PL". www.deagel.com. Retrieved Feb 18, 2019. ^ "Navy Lacks Plan to Defend Against `Sizzler' Missile". Bloomberg. 2007-03-23. Archived from the original on 19 November 2007. Retrieved 2007-11-11. ^ "Kalibr cruise missiles strike IS targets in Syria". Oct 7, 2015. Retrieved Feb 18, 2019 – via YouTube. ^ "4 Russian warships launch 26 missiles against ISIS from Caspian Sea". rt.com. 7 October 2015. Retrieved 9 October 2015. ^ Aji, Albert; Vasilyeva, Nataliya (7 October 2015). "Russia fires cruise missiles from warships into Syria". Yahoo News. Associated Press. Retrieved 9 October 2015. ^ "Russia, Iran Deny US Claims of Cruise Missiles Crashing on Iran". News From Antiwar.com. Retrieved 2015-10-20. ^ "Russia denies missiles aimed at Syria landed in Iran". the Guardian. Retrieved 2015-10-20. ^ "Russian Caspian Sea Flotilla launches Kalibr missiles". Nov 20, 2015. Retrieved Feb 18, 2019 – via YouTube. ^ "YouTube". www.youtube.com. Retrieved Feb 18, 2019. ^ "Kalibr vs ISIS compound". Nov 23, 2015. Retrieved Feb 18, 2019 – via YouTube. ^ "Russia Releases Video of Missile Strikes on ISIL Targets From Caspian". Sputnik. 20 November 2015. Retrieved 21 November 2015. ^ "Syria - Russian submarine "Rostov-on-Don" launches missiles at Raqqa - December 2015". Dec 9, 2015. Retrieved Feb 18, 2019 – via YouTube. ^ "Russia fires Kalibr missiles at IS positions from sub deployed in the Mediterranean". TASS. Retrieved Feb 18, 2019. ^ "Russian Warships Launch Cruise Missiles on al-Nusra Front Targets in Syria". Sputnik (news agency). 2016-08-19. ^ "Russia: Mossad, other foreign agents killed in Aleppo strike". Retrieved 2016-09-22. ^ "Terrorist positions hit with cruise missiles from Russian frigate 'Admiral Grigorovich' – MoD". Nov 15, 2016. Retrieved Feb 18, 2019 – via YouTube. ^ "Russian warships fire cruise missiles at Isil targets near Palmyra". The Telegraph. Retrieved 2017-05-31. ^ "Russia fires cruise missiles at IS targets in Syria". BBC News. 2017-05-31. Retrieved 2017-05-31. ^ "Удар крылатыми ракетами «Калибр» по объектам ИГИЛ в Сирии кораблями ВМФ РФ в Средиземном море". Jun 23, 2017. Retrieved Feb 18, 2019 – via YouTube. ^ "Russian warships fire Kalibr missiles, destroy ISIS arms depots in Syria". www.rbth.com. Jun 23, 2017. Retrieved Feb 18, 2019. ^ "Удар крылатыми ракетами "Калибр" по объектам ИГИЛ в Сирии кораблями ВМФ РФ в Средиземном море". Ministry of Defence (Russia). 2017-06-23. ^ "Russian warships fire Kalibr cruise missiles, destroy IS arms depots in Syria". TASS. 2017-06-23. ^ "Russian submarine, frigates hit ISIS from Mediterranean, again". NavalToday. 2017-06-23. ^ "'Better Than Tomahawks': How Russia's Kalibr Missiles Raze Daesh Targets". Sputnik News. 2017-09-05. ^ "Russian Submarine Attacks al-Nusra Front With Kalibr Missiles in Syria's Idlib". Sputnik (news agency). 2017-09-22. ^ "Пуск крылатых ракет "Калибр" по объектам террористов в Сирии с подводной лодки "Великий Новгород"". Russian MOD. 2017-09-22. ^ "Russian subs hit terrorist targets with 'Kalibr' cruise missiles in Syria". RT (TV network). 2017-10-05. ^ "Нанесение ударов по террористам в Сирии из акватории Средиземного моря подводными лодками ЧФ". Russian MOD. 2017-10-05. ^ "Поражение объектов террористов комплексами "Калибр"". Russian MOD. 2017-10-05. ^ "Russian Sub Launches Strike With Cruise Missiles on Daesh in Deir ez-Zor (VIDEO)". sputniknews.com. Retrieved Feb 18, 2019. ^ "Russia targets ISIS with Kalibr cruise missiles". Missile Threat. Nov 3, 2017. Retrieved Feb 18, 2019. ^ "Russian cruise missiles kill at least 30 Syrian rebels after jet fighter downed". USA Today. Retrieved 4 February 2018. ^ "Вести недели / Эфир от 11.10.2015" [Vesti nedeli/Stream from 11.10.2015]. russia.tv (in Russian). Retrieved 20 November 2015. ^ "Ракетный "привет" для ИГ" [Rocket "Hello" for IS]. vesti7.ru (in Russian). 11 October 2015. Retrieved 20 November 2015. ^ Cenciotti, David (Dec 8, 2015). "Russia has launched a barrage of cruise missiles against Syria. For the first time from submarine". Retrieved Feb 18, 2019. ^ "KLUB (SS-N-27) ASCM". bharat-rakshak.com. Archived from the original on 20 April 2010. ^ "Surface Forces: Arming Container Ships With Anti-Ship Missiles". strategypage.com. ^ "3M-54 Klub". Federation of American Scientists. Archived from the original on 13 February 2008. Retrieved 2008-02-04. ^ Stott, Michael (2010-04-26). "Deadly new Russian weapon hides in shipping container". Reuters. Retrieved 2016-12-19. ^ "MAKS: Russian firm debuts shipping container-housed cruise missiles". Flight Global. Retrieved 2011-08-23. ^ "Russian company unveils 'bomb in a box' cruise missile system". RIA Novosti. Retrieved 2011-08-23. ^ "Advanced anti-ship cruise missile systems enter service with Russian Navy". TASS. Retrieved Feb 18, 2019. ^ Pandit, Rajat (August 4, 2008). "India to acquire new undersea cruise missiles". Times of India. Retrieved 2008-08-04. Wikimedia Commons has media related to 3M-54 Klub. "3M-54 Klub". Federation of American Scientists. Archived from the original on 5 February 2007. Retrieved 2007-02-27. "Klub (SS-N-27) ASCN". Bharat Rakshak Monitor. Archived from the original on 2007-02-05. Retrieved 2007-02-27. "3M-54 Klub". Globalsecurity.org. Archived from the original on 20 February 2007. Retrieved 2007-02-27. "Navy Systems". 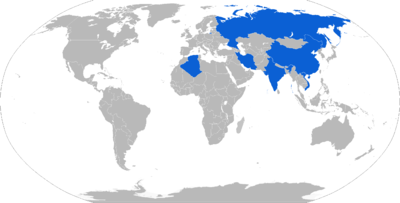 Globalsecurity.org (Navy Systems). Archived from the original on 14 March 2007. Retrieved 2007-03-23. This page was last edited on 5 April 2019, at 10:19 (UTC).